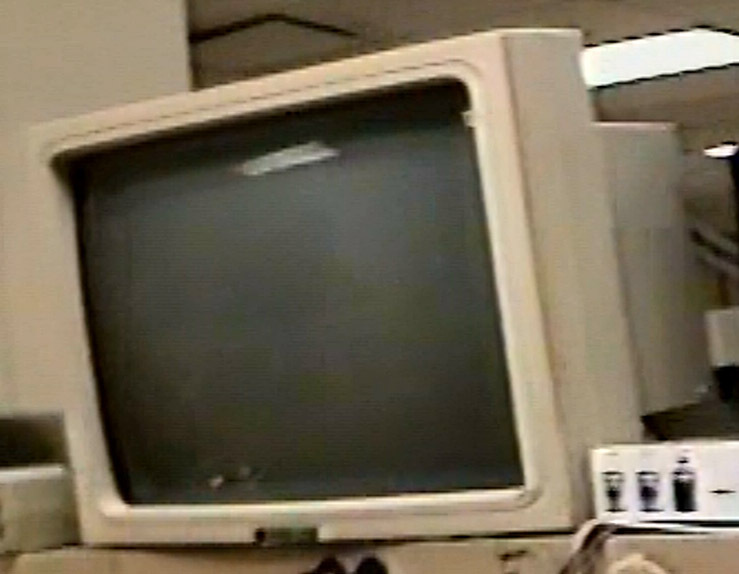 a 19" version of the A2024 (also known as the "Hedley Hi-Res" monitor as it was designed by Hedley Davis) existed. It can be seen in Dave Haynie's "Deathbed Vigil" video when he's touring the lab. It's high up on a bench when he says something to the effect of "and we really do use Amigas to design Amigas", points the camera at an A3500(T), then up at a 19" "Hedley Hi-Res" monitor, and then exits the main lab towards the mechanical lab, which he called the "machine shop". It's on-screen for less than a second! If I recall correctly, Hedley worked with Sony to have them build them to the protocol and specifications he made, so it's a pretty high quality tube and had a cost to match especially the 19" version! You mention that it was split the frame into 4 fields. I remember that there were 6 fields per screen on the monitor I used. It might be that the 15" monitor did quadrants and the 19" did 6 fields. I had a 19" on my desk back then. I had the 19" Hedley Hi-Res plugged into the Amiga video port and I had a VGA monitor (A1950) plugged into the VGA port. When set to use Hedley Hi-Res mode, the A1950 flashed every screen differently in odd colours. When set to full-colour mode and normal resolutions, the A1950 did a beautiful job, but the Hedley Hi-Res couldn't handle it. To switch the resolution, I'd turn on the monitor I was going to move to, switch the Amiga's resolution, then turn off the monitor that I wasn't using. The theory of operation was that the Amiga had some very large screen of information that it wanted to display, which would be split into fields. Each field was the same resolution as a normal sized Amiga frame. The fields were stored in normal sized frame buffers, one for each field. After each vertical blanking interrupt, the pointer for the frame buffer was loaded with the head of a different field. That way, each "frame" the Amiga was sending was actually one field within the full frame. Each field was delivered as a normal frame - normal resolutions and pixel clock rates. And yes, I can confirm that the field in which the mouse was located actually was refreshed more often than the rest of the fields. There was something in the fields (you'd have to ask Hedley what it was - something in the vertical blanking? The colour encoding?) that identified which field was being delivered. The fields were re-assembled into the full frame in a buffer in the monitor and that was the frame buffer that was actually displayed. The monitor refreshed the screen after each field was delivered to the monitor, so the monitor's frame rate matched the Amiga's field rate (which the H/W thought of as the frame rate). This was fine for low frame-rate applications (it was BEAUTIFUL for CAD! ), but quick motions with the mouse (or any other sprite or graphic element) moving across the field boundaries would end up in the fields being refreshed far enough apart from each other that the image would briefly "rip" at the seams. I suppose someone else could program their video hardware to emit protocol on the RGB and sync lines that would be able to drive the Hedley Hi-Res, but as far as I know, no one ever has - so yes, this is an Amiga only monitor. Page contributors: Beth Richard, Steen Jessen.